Wow, it's been a long time since I posted anything for my LA Locals Love series! I promise there's more coming! 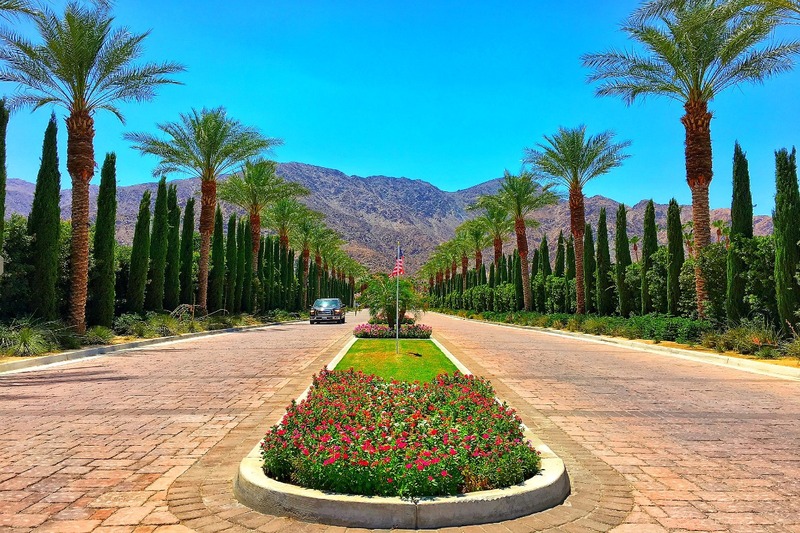 If you're new here, click here for a list of posts from that series - I introduce activities, restaurants, etc of places in the Los Angeles area. 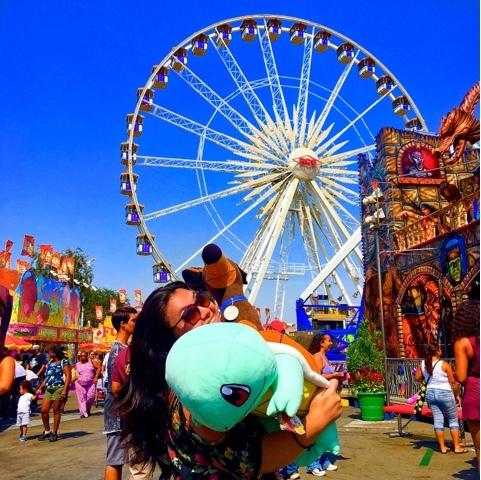 Since county fairs can be fairly self-explanatory, I thought I would do more of a photo diary style. 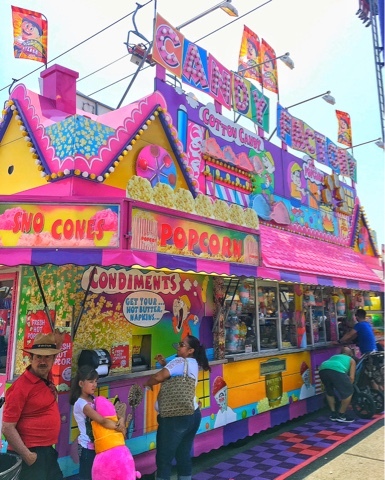 The colors, the ridiculous food, fun games are better communicated through pictures when it comes to fairs! 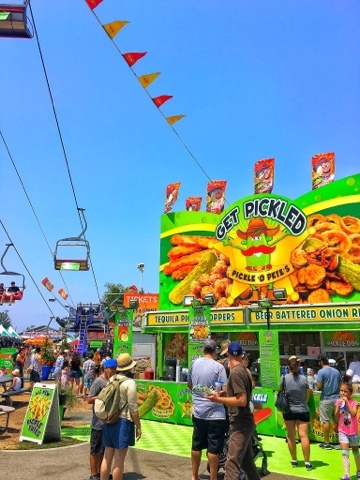 A booth dedicated to PICKLES! It's a lot bigger than it looks and so much fun, even for adults! Don't be fooled, they give you tiny bean bags to throw at the balloons - super hard! My favorite game, I almost always win! My favorite ride! I get to see the entire fairground! As you can tell, I'm pretty darn happy with my winnings. 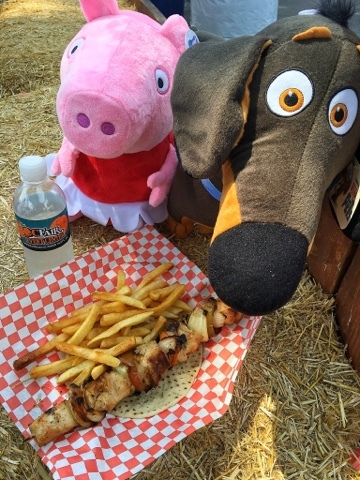 Lunch with my baes, Peppa the Pig and Buddy from The Secret Life of Pets. 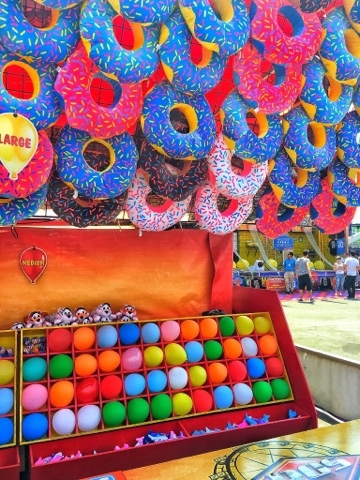 The Fair is so Instagrammable with all the fun colors! That's right, folks. 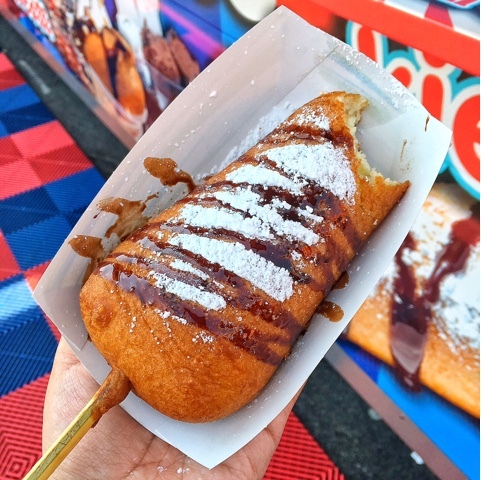 This is deep fried cheesecake on a stick. Ambulance on speed dial. My 2nd favorite ride! So much fun! That's it, friends! 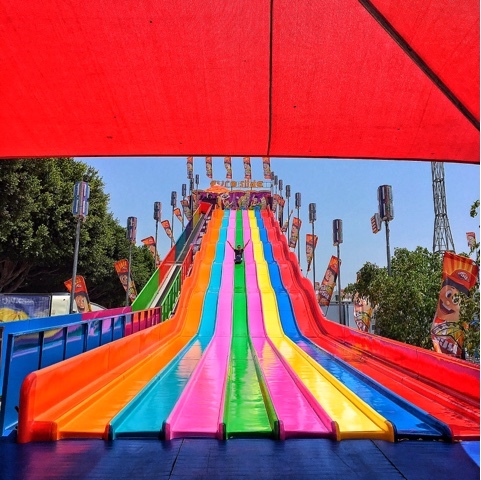 I hope you enjoyed this little photo diary of my weekend at the Orange County Fair. It's my 2nd time here and definitely won't be the last. The LA County Fair starts mid September and I have yet to go to that one so hopefully I'll make it this year! 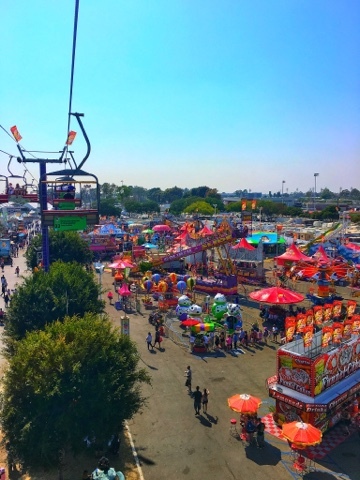 Also, my OC Fair 2015 is still one of the most read posts - click here to check that out! P.S Thank you SO MUCH to all of you that joined Chloe and me for the very first Fly Away Friday linkup! I loved reading each and every one of the posts and can't wait for more next week! If you missed it, that's ok - you can join us this Friday! 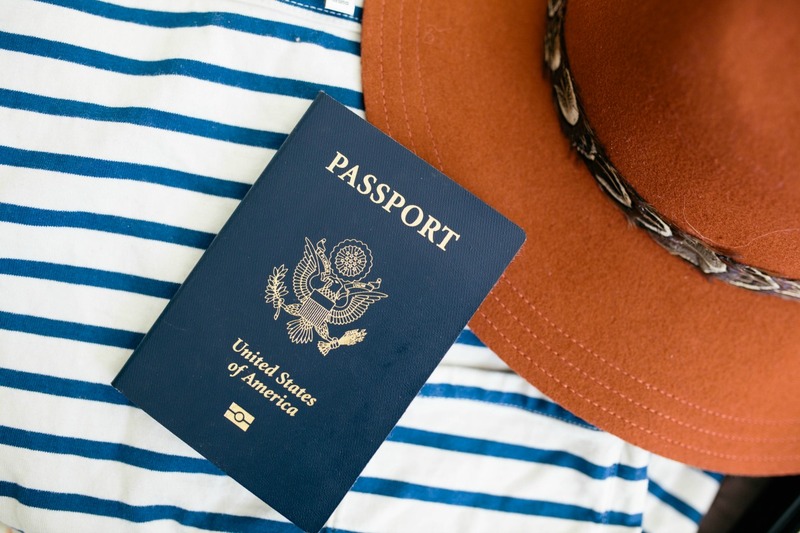 Click here to see who joined and more about the linkup! 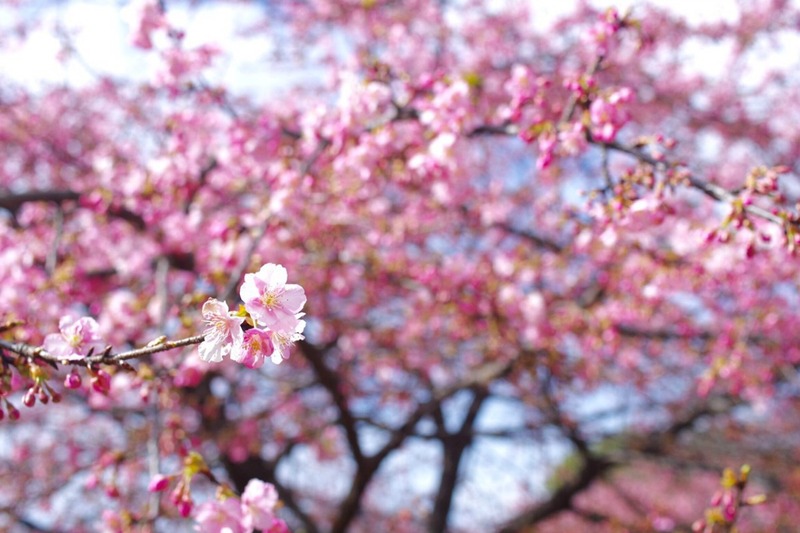 This is a serious feast for the eyes, Kana! All your photos are so vibrant, and you know how #Ihavethisthingwithcolour! Looks like you had an absolute blast, hope I make it to the fair some day! Wow this looks like so much fun! And yes, totally Instagrammable! Love fairs like this. Did you go on many rides? The fair looks so fun! And fried cheesecake on a stick? My life won't be complete until I try it! This looks like such a fun fair! Gosh I haven't been to a fair in years, and I think it's time to rectify that! Such fun photos! 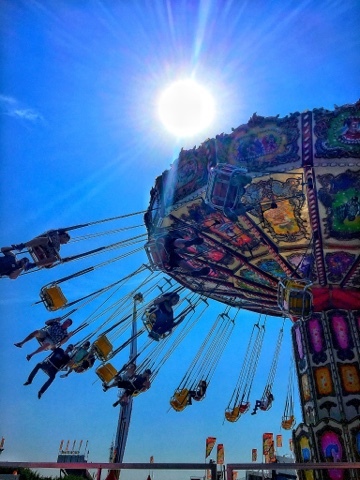 I love the bright colors of the amusement park with the perfect blue sky in the background. 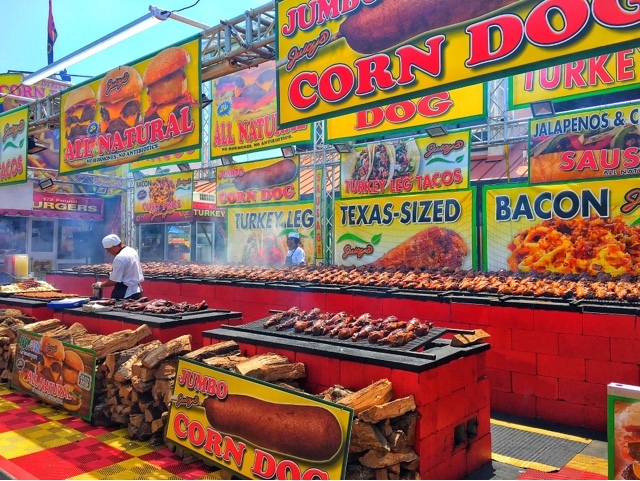 Love the comment about the large amounts of fried food in America, it was honest and humorous. 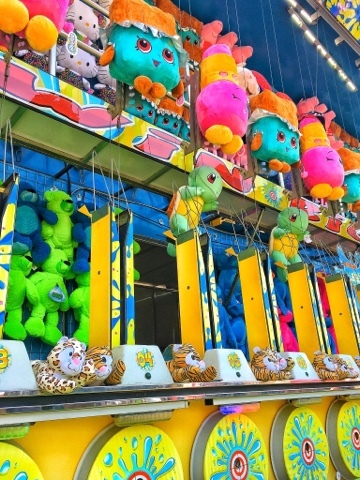 I love summer fairs they are the best! That fried cheese cake looks so good! I live in California but never made it to the Orange! Will visit it shortly. Great inspiration! Thank you! 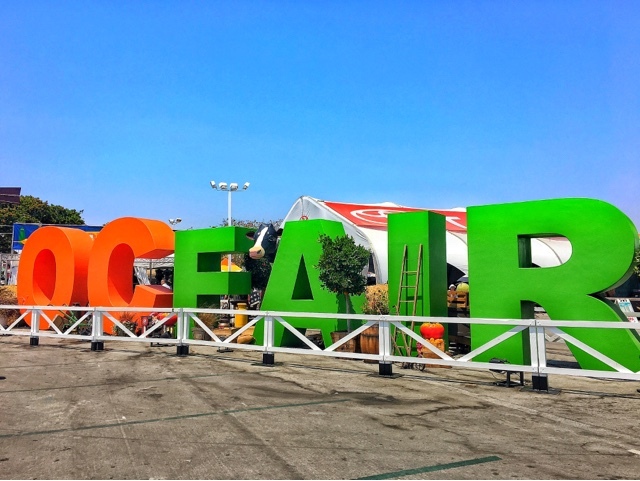 Aww I love the OC fair! One of the best out there with the best concerts too!! !